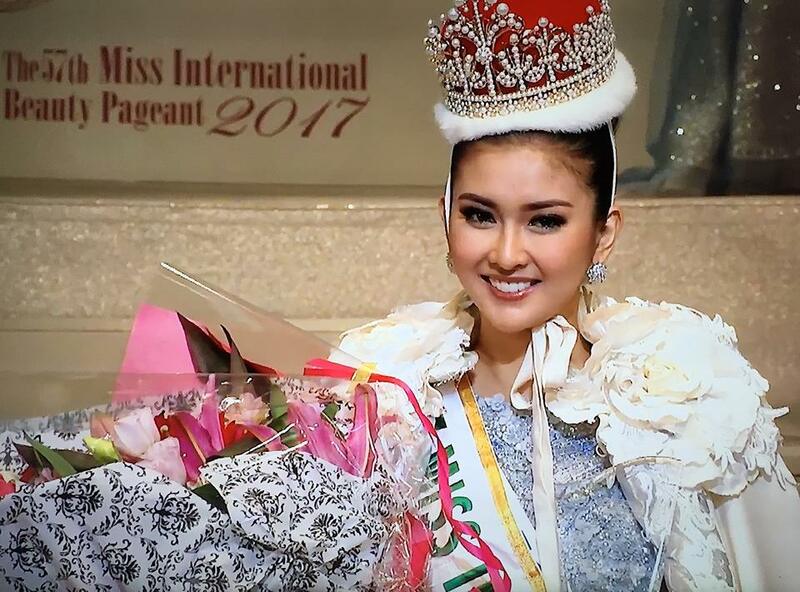 Indonesia scored their second Grand Slam crown earlier tonight when their delegate, 21 year old Kevin Lilliana was named Miss International 2017 in Tokyo, Japan. The new Miss International, who is the first woman from her country to win this title, shed tears of joy as outgoing queen, Kylie Versoza from the Philippines placed the crown on her head. Chanelle de Lau from Curacao was named the first runner-up and Diana Croce from Venezuela was crowned second runner-up. Amber Dew from Australia and Natsuki Tsutsui from Japan finished as third and fourth runners-up respectively. The top 8 were completed by the delegates from Ecuador, Laos and the United Kingdom. Misses Finland, Ghana, Honduras, Panama, Slovakia, South Africa and Thailand advanced to the top 15 before being eliminated. GB's Reaction: Congratulations to Miss Indonesia and our Indonesian fans. We are sure there will be loads of happy hearts all over Indonesia tonight. As for the pageant, it was very long and drawn out, as always. Miss International is just completely outdated in its current form. The winner is very elegant and we should have had her on our leaderboard. The top 15 was filled with shocks and surprises. The gorgeous delegates from Lithuania and Mexico were the biggest shocks for us. But Miss International is a month long experience, so you never know what's going on behind the scenes. We also respect the fact that the Miss International judging panel (mostly from Japan) have their own unique appreciation of beauty. Global Beauties would like to congratulate all the winners!